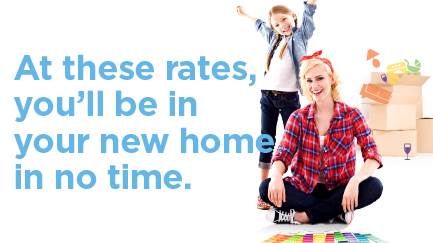 Buying a home doesn’t happen overnight. It is the result of months—sometimes years—of dedicated research and extensive financial preparation. One way to help facilitate the experience is with a pre-approved loan. There are a number of benefits to securing a pre-approved mortgage, one being, you’re that much farther along in the home-purchasing process: you’ve gotten the loan qualification piece out of the way! You’ve also narrowed your home-shopping focus by listing the maximum dollar amount your lender approved. Finally, realtors and sellers now have tangible proof that you are a serious home buyer. How Does Pre-Approval Differ From Pre-Qualification? During pre-qualification, a financial institution conducts a quick, cursory review of your credit, debt, employment and other factors to help gauge your initial qualifications. The result is a conditional loan offer listing a maximum dollar amount and loan terms if you fully qualify. Mortgage pre-approval, on the other hand, provides a much more comprehensive review of your fiscal health and produces a tangible pre-approval letter from your lender. Joint or single application? Will you request pre-approval based solely on your financial qualifications, or will you file a joint application with a spouse, parent or other family members? Joint applications take into account the qualifications of both parties including income, debt balances, credit scores and more. Therefore, it is wise to first review the credit reports for all individuals involved in applying for the loan. Timeline to purchase a home: Are you relocating for a new job and want to close on a house quickly? Or, are you preparing to shop over several months to find the perfect match for your needs? Keep in mind; most pre-approved mortgage loans are only valid for 60-90 days, once issued. This consideration will help determine if you should forge ahead with the pre-approval process right away, or take time to narrow your focus, shop for competitive interest rates, or conduct more research. Once you’ve reviewed your credit report, determined who will file for the loan, and decided the time is right to start shopping for your next dream home, it’s time to begin the pre-approval process. Employment: Documents listing employment history, current wages, job title and employers’ contact information. Income: Previous several years’ tax returns, proof of current income via W-2s, alimony or child support received, investment income, and any additional source of earnings. Assets: Financial statements from checking, savings, term accounts, money markets, 401(k) as well as real property and gifts from friends or relatives. Debts: Student loans, vehicle loans, credit card balances, child support, alimony obligations and other recurring monthly expenses. Past financial problems: Prepare to fully explain situations related to any prior foreclosures, debt collections, bankruptcies or other fiscal issues. Other: Driver’s license, social security number, current address, next of kin’s name and more. Once your pre-approval letter is in hand, real estate agents and home sellers know that you mean business and will take your offer seriously. Set yourself on the fast track to owning your next dream home by starting the mortgage pre-approval process today!